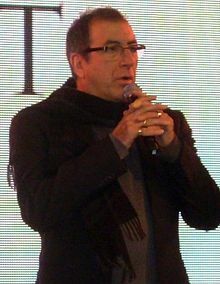 Kenneth John "Kenny" Ortega (born April 18, 1950) is an American producer, director, and choreographer. He was the director of all the High School Musical movies. ↑ "30th Annual Young Artist Awards". Retrieved May 11, 2012. This page was last changed on 31 August 2017, at 05:35.